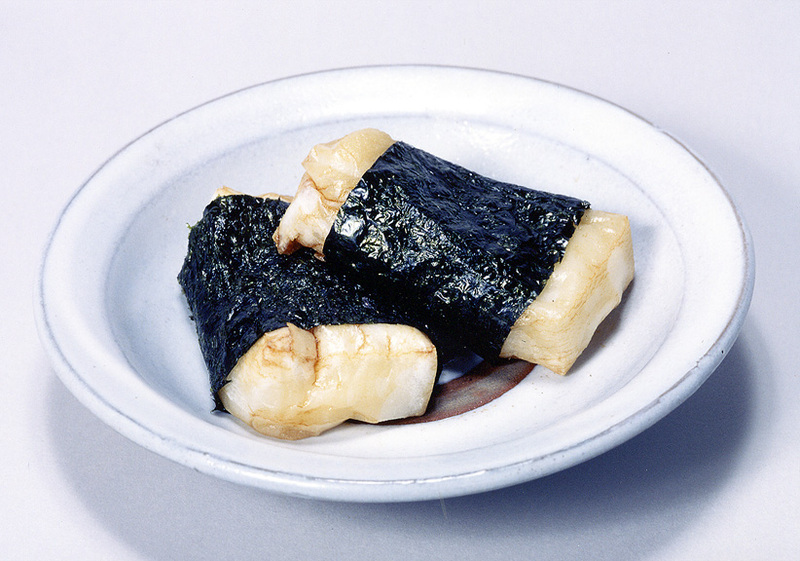 A highly glutinous variety of rice called mochigome (もち米 もちごめ a) is steamed, kneaded and pounded (traditionally by mortar and pestle, more recently by machine), and formed into rounds or into sheets that are then cut into squares. Mochi may be eaten when freshly made, but it is originally a form of preserved food. The surface grows hard when left to sit. Dried or hardened mochi can be resoftened by roasting on a grill or heating through in hot water. Mochi came to Japan from Southeast Asia along with rice cultivation. Long an essential offering and food at religious observances, it remains inextricably related to the annual round of Japanese rituals and festivals. 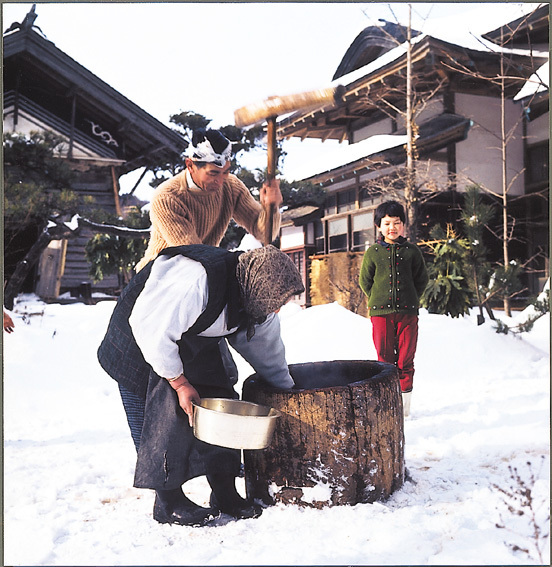 Prior to New Year's, communities, schools, and other groups often hold parties to enjoy the traditions of mochi-making. 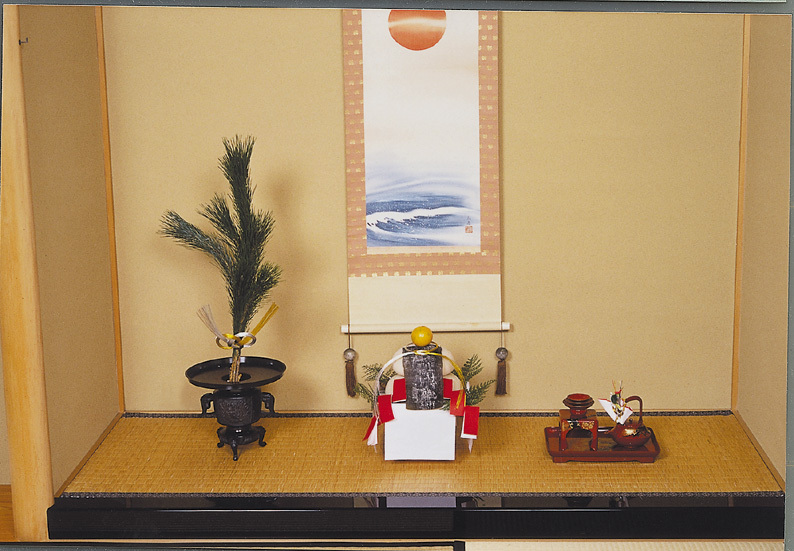 At New Year's, kagamimochi (鏡もち かがみもち a decoration or offering consisting of one flat-bottomed, mounded round of mochi placed atop a larger one) is customarily displayed in homes and religious establishments, and mochi is an ingredient in the celebratory soup zoni (雑煮 ぞうに). With the recent introduction of electric kneaders, mochi can easily be made at home; it is also available in vacuum-packed form, which is convenient for storage.